Open bowlers, please call ahead. 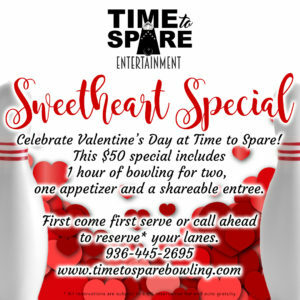 There will be limited open bowling lanes throughout the day. To make a reservation, please call 936-445-2695 and speak to the Event office.